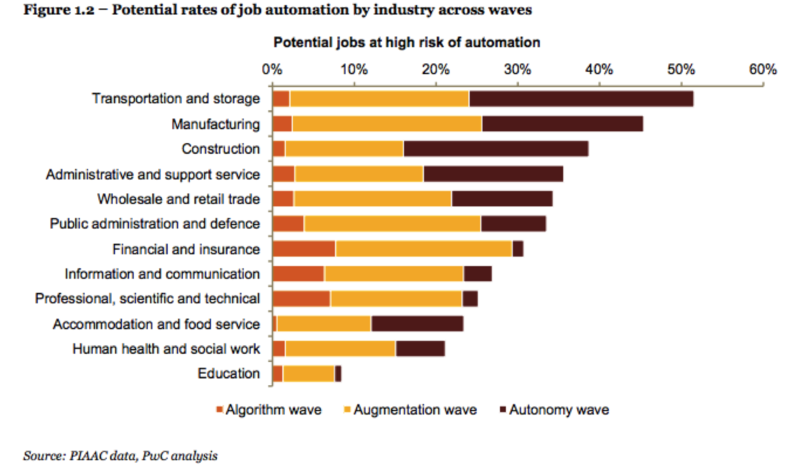 There’s a lot of effort going into anticipating the impact of automation on jobs. Some more useful than others. 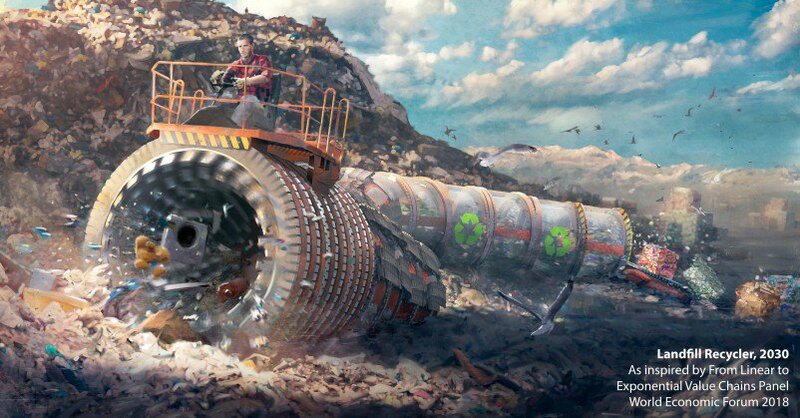 The World Economic Forum has (unintentionally it seems) inspired a Dune-like future occupation of “Landfill recycler”, where some poor person gets to ride a giant sandworm-like creation. I don’t see why you’d need a person for such a machine. Indeed, from the image there would seem to be significant health and safety risks associated with that job too. But perhaps, this could be a replacement for rodeos. More in-depth analyses about the job situation in 2030 have been provided recently by the consulting firms Bain and Company and PwC. Their “base-case scenario” could result in about 2.5 million jobs per year in the US being lost or not created because of automation. They note that this is substantially higher than previous transformations (agriculture, manufacturing, and construction), and may occur in less time. Second adolescence: (ages 18–29). The rise of second adolescence (due to higher costs of education and independent living) is delaying key life events such as work, marriage, having children and buying a home. While from 55 to 74 a Preretirement stage is emerging. As a consequence of longer and healthier life spans enabling people to work longer, creating a new transitionary stage of life between work and retirement. The result is increasing labour force participation rates, incomes and consumption among those age 55 and older. The Algorithm wave – where there is adoption of relatively simple computational tasks and analysis of structured data sets (such as spreadsheets). This is already occurring in the finance, and information sectors. They suggest this will roll out to the early 2020s. The Augmentation wave – involves automating repeatable tasks and analysis of less structured data – such as by robots in warehouses. Again, we already see some of this, but it will continue to develop out into the late 2020s. The Autonomy wave – involves dynamic real world problem solving, like automated driving and some manufacturing processes. They suggest this won’t be widespread until the 2030s. That sort of makes sense, but it implies a smooth progression. In reality it will be less orderly, with different firms and sectors going through these “waves” at different speeds and times. They acknowledge this to an extent by predicting how different sectors could be affected by these waves. PwC also look at the impact of automation on the jobs of men and women. They suggest that initially female workers are at a greater risk of their jobs being automated (due to the type of jobs they tend to do; such as clerical work) but longer term a greater proportion of male workers may be affected. They delve into the prospects for individual countries too, including New Zealand. Potential impacts of automation on the manufacturing sector in New Zealand by Wave 3. Like Bain, PwC suggest that governments need to be pro-active to ensure that the benefits of artificial intelligence and automation are widely shared. Both reports acknowledge that new jobs will be created, but unlike the World Economic Forum, they don’t spend time imagining them. However, as I’ve written about previously, the focus on jobs as the focus of analysis is perhaps misguided. Jobs are made up of many tasks, which differ in their ability to be automated. 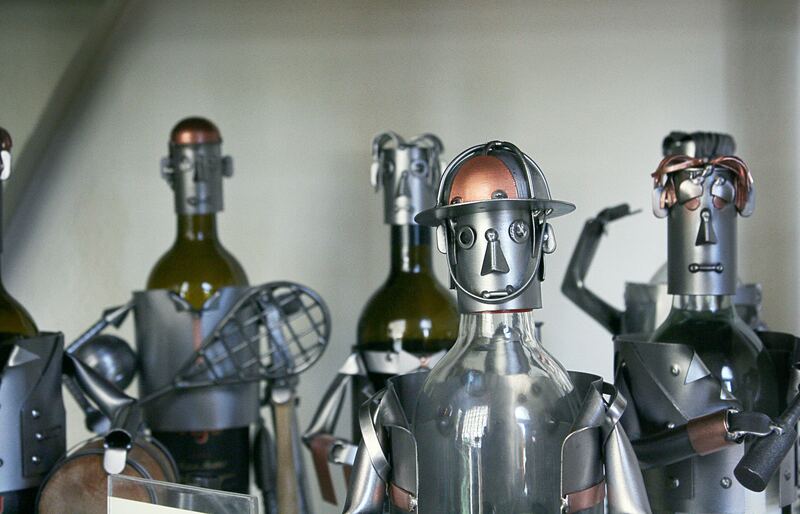 And just because a task, or job, could be automated doesn’t mean it will. This is illustrated by a recent report from Uber. Contrary to many discussions they think that automated trucks will create more jobs. They would say that wouldn’t they? But their reasoning makes sense, and is generally supported by some in the trucking industry. It is a classical economics argument – automation will make trucking cheaper, resulting in increased demand. They note that truck drivers do things other than just driving, and automated driving within cities is a long way off. Uber predicts that there will be a rise in distribution hubs, creating more transport-related jobs. In contrast to Bain and PwC, some commentators in the trucking world don’t see government stepping in to help. Companies like Uber may be the ones who can help make the jobs more desirable for the workers. So, it’s complicated. My advice is to read reports about the future of work with a critical eye. Analyses usually look at the technological issues, rather than the social and political ones. There is no doubt that challenging times are coming. Having a good education (though not at the expense of racking up excessive debt), being versatile and adaptable, and having good social skills are probably reasonably safe(-ish) bets.